Her parents separated when she was 1 year old. 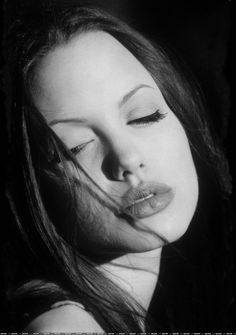 When Jolie’s parents, Jon Voight and Marcheline Bertrand, separated she started living with her mother and brother. 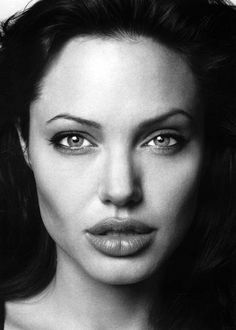 During her childhood, she watched movies with her mother which later inspired her to become an actor, not her father’s successful acting career. 2. She was mocked in school because of being thin, wearing glasses and braces. Her classmates were wealthy, while Jolie lived with her mom with limited income. She was mocked in school by her classmates. 3. She was considered as a “punk outsider” in school and also did knife play during her teens with her boyfriend. During this time she wore black clothes and wanted to become a funeral director. 4.She could not emotionally connect with other people and hence she self-harmed, frequently cutting herself. 5.She also had insomnia and sleeping disorders. 6. She tried drugs during her teens and by the age of 20 had tried almost all the drugs including heroin. 7.Her behavior was considered to be “too dark” and as a result she failed to clear auditions at the start of her career. She also suffered from depression during this time. 8. She tried to commit suicide twice. Once at 19 years old; at 22, she even hired a hit-man to kill her. 9. At 24, she suffered from nervous breakdown and was admitted for 3 days in hospital. 10. She won the first Citizen of the World Award by the United Nations Correspondents Association. She is also the recipient of the Freedom Award by the International rescue Committee.